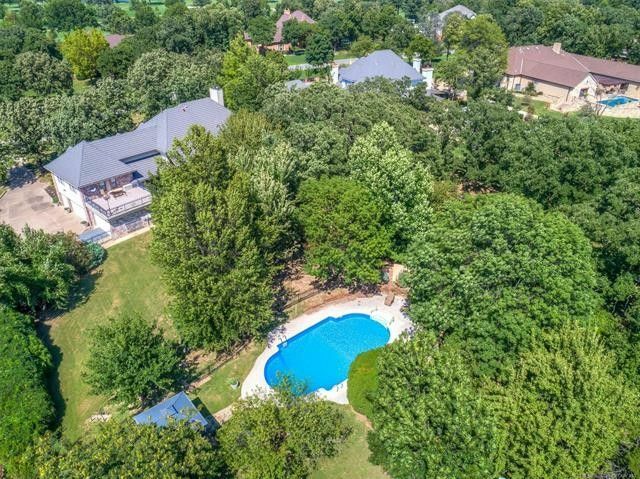 Beautiful two story full brick home near the Oaks Country Club on over an acre that backs to a green belt. $30K in market ready updates include refinished hardwood floors, fresh paint & new carpet. Awesome backyard with an In-ground pool! 5 car garage! Directions: From Hwy 75, west on W.71st St. 71st winds up hill past the Oaks Country Club and turns into Oak Leaf Dr.